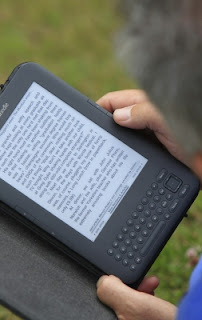 If you are an author of a book and are considering self-publishing an ebook, then there are three important things you should consider before placing your book with a company. Of course, there are many other important points to consider, but these are three key points you should be adamant about. After all, you worked hard on your book and you don't want to find out you lost your rights to control it in any way. Retaining all rights to your ebooks is the most important point you should remember no matter who you self-publish with. This means you retain all rights to your ebook so you can publish it at other locations or - God willing - a major publisher comes along and wants to buy your book - you own the rights to sell it. This also means you continue to own all rights to the characters in the book, the film rights, audio rights, merchandising rights, foreign rights and so on. Read everything on the publishing site - even the find print in the Terms - to make sure you are not giving away any of those important rights you may want in the future. This is very important because some self-publishing sites set prices that are far beyond what most people will want to pay for an unknown writer. The ability to set the price for your ebook, and even change the price as many times as you want, is what will help you sell your book faster and to more people. There are several self-publishing sites for ebooks that do allow you to set your price and change it as often as you like, so don't go with one that won't let you do this. When you self-publish your ebook, you don't want to be locked into a time frame where you have to stay with that publisher. Many allow you to take your book off the site at any time, so stick to those publishers. If you find you don't like publishing with a particular site or that you want to upgrade to a different self-publishing site, you don't want to be locked into a contract. These are only three things that I find extremely important when self-publishing, but of course there are more factors you should look at before choosing a self-publisher. Just remember, you worked hard to write your book and you should be able to call the shots when you self-publish it. Don't give away rights to your book unless a publisher is paying you big money for them (and even then, you never give up all the additional rights, but that's another article). I ran into an article by David Carnoy titled "Self-publishing a book: 25 things you need to know" that I think you will find extremely helpful. He is referring mostly about publishing a print-on-demand book, but the information is still very helpful. Check it out. Thanks for posting on my blog, Deanna! I definitely love that we can play around with prices as indie authors. I have a writing buddy who went with a small press and he's stuck with a $9 ebook. That's an awfully high price point for an unknown author, and it's not any surprise that few copies sell. Good luck with your own ebooks!